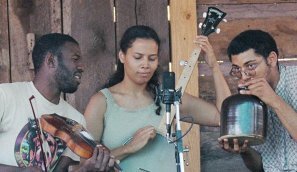 The Carolina Chocolate Drops are a group of young African- American stringband musicians that have come together to play the rich tradition of fiddle and banjo music in Carolina's piedmont. 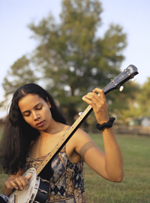 Although they have diverse musical backgrounds, they draw their musical heritage from the foothills of North and South Carolina. 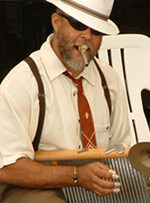 They have been under the tutelage of Joe Thompson, said to be the last black traditional string band player, of Mebane, North Carolina and they strive to carry on the long standing traditional music of the black and white communities. They have been influenced by Odell and Nate Thompson, Dink Roberts, John Snipes, Libba Cotten, Emp White and countless others who have passed beyond memory and recognition. 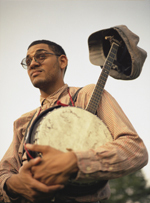 Sule Greg Wilson brings over thirty years of folk and world music experience to the Carolina Chocolate Drops. 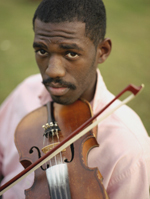 From his school days as a dancer and drummer in his native Washington, DC, to artist's residencies in Hermosillo, Mexico and Antrim, Northern Ireland, Sule Wilson brings "spirit, expertise, commitment, and, above all, his feisty intelligence" to all he does.